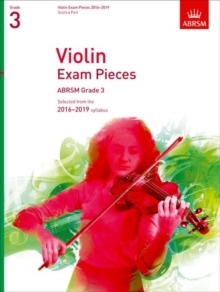 This album contains nine pieces from ABRSM's 2016-2019 Grade 3 Violin syllabus. 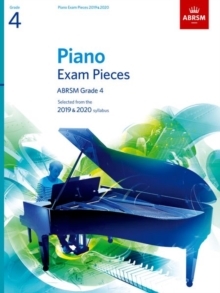 Key features: * three pieces from each of Lists A, B and C * appealing and varied repertoire * carefully edited and clearly presented throughout * helpful information about the pieces and the exam Recordings * All of the pieces on the Grade 3 syllabus have been recorded by ABRSM examiners Simon Jones and Hilary Sturt, and jazz violinist Christian Garrick. * The duo recordings andplayalong practice tracks are available on CD - as part of the Violin Exam Pieces with CD package - or as downloads from www.abrsm.org/audioshop.